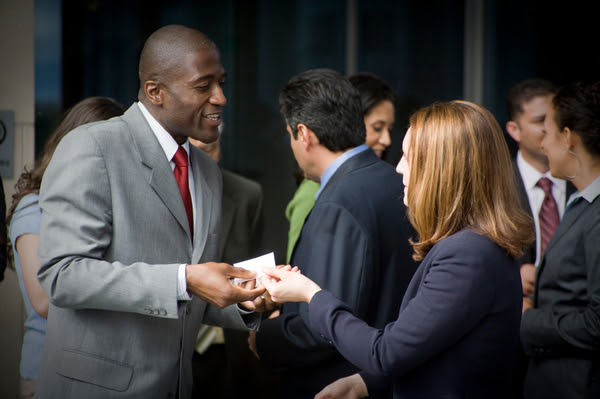 Going to a networking event? Attending a company conference? Meeting with your boss’s bosses? Having to talk to strangers at a networking event can be an anxiety-provoking experience, but knowing what to wear to your next event can take some of the pressure off. remember when dressing for networking. Plan ahead: what kind of networking event is it? Don’t forget to arrive early and dress according to how formal the event will be. ​You can determine the formality of the event by location, purpose and who’s on the invite list. For a more formal event such as an awards presentation or with a well-known speaker, dress in classic business professional, meaning a suit or conservative dress. For a meet and greet within a more casual industry, business casual will be fine. Tailored slacks or a skirt with a collared shirt for an elegant look; dark jeans for a purely casual one. In either case I do recommend having a jacket on hand. When traveling to a different part of the country, learn the norms for that region. For example, California is generally more casual, while Chicago and Washington, DC are strictly business professional. Add some vibrancy to your outfit through color and patterns. Don’t be afraid to stand out. If you’re a man, wear a tie with your suit, and you can also add a pocket square. If you’re a woman, have a blazer or layering piece on hand and don’t forget to accessorize. Etiquette is essential when you’re planning on attending a networking event. In addition to dressing well, it’s important that you properly manage your time—arriving early reflects on your image. Have a bite to eat beforehand, and try to avoid eating and drinking at the same time. Remember to mentally prepare yourself. This includes: having a strong handshake, speaking in a loud and confident voice, listening, and smiling when appropriate. One of the most important aspects of networking etiquette is being confident while also being an attentive listener. Don’t forget to be prepared with some necessary pocket items. Always have a plentiful amount of business cards. Check that your outfit has a pocket for your cards. More than one pocket means you can organize one for your personal cards, and one for the cards you will collect. Keep mouth strips or perhaps a handkerchief in your extra pocket or handbag for those necessary moments. Some other handy items you can bring are hand sanitizer, perfume or cologne, and your smile!